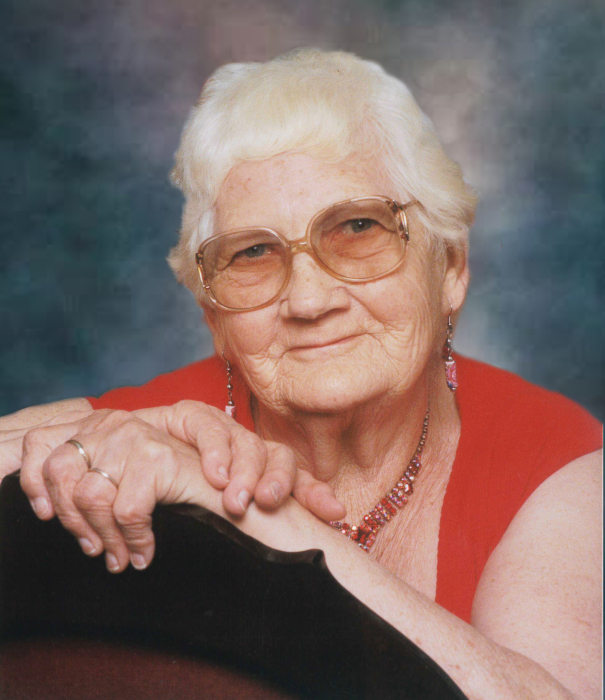 Mrs. Emma Bryan passed away in Lacombe, AB on Thursday, August 23, 2018 at the age of 89 years. Emma came with her parents from Barons, AB, by covered wagon to the North Country. She was 8 years old and rode horse back and drove cattle all the way. Later she met her husband Francis Bryan; they were married for 48 years. He predeceased her in 1999. She will be sadly missed by her 4 loving children: Leslie & (Debbie), Lorn & (Joan), Sharon & (Doug) Fosnaugh,Ken & (Barb); 13 Grandchildren; 24 Great Grandchildren; and one special friend, Honey. A Funeral Service will be held at Wilson’s Funeral Chapel, 6120 Hwy 2A, Lacombe AB on Wednesday, September 5, 2018 at 1:00 p.m. In lieu of flowers a memorial donation can be made in Emma’s name to the Central Alberta Humane Society, 4505 77 Street, Red Deer, AB T4P 2J1.